ancient stonework at the many different sites includes a wall that is strikingly similar to those built by the Incas in Peru. 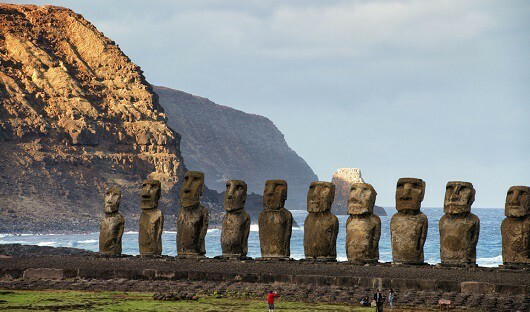 Way out in the Pacific Ocean, 3,500km west of Santiago, lies a remote speck known as Easter Island (Rapa Nui) or, in Spanish, Isla de Pascua. This irregularly shaped volcanic island (160km2) with its powerful rugged beauty, enigmatic stone-carved figures, its mysteries and traditions, as well as the warmth and friendliness of the local people, provides a fascinating stopover. The island’s year-round climate is pleasant with an average temperature of 20-25C. 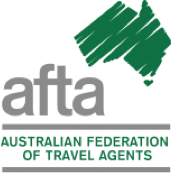 You will be met on arrival at Easter Island Airport with the traditional flower necklace before being transferred to your hotel. The explora Posada de Mike Rapu is set high up on the south-eastern side of the island. This eco-friendly lodge follow the folds of the earth. Constructed of dark volcanic stone, pale wood and glass, with clay slate roofs, all chosen to emulate the natural surroundings, it features high ceilings, enclosed and open areas, and large linked oval skylights that follow the path of the sun as it passes over the hotel. 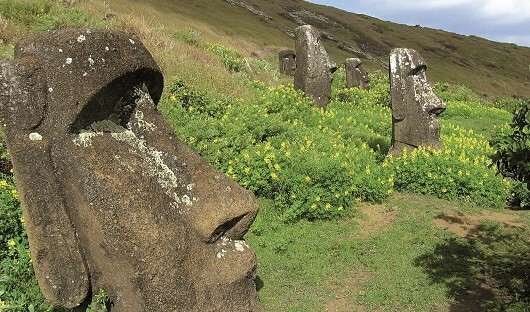 Your guide will meet you at your hotel for a tour where you will learn more about the fascinating history of Rapa Nui. After leaving Hanga Roa, drive south along the coastal road. You will have views of the Poike and the whole coastline consisting of black volcanic rock. The first stop is at Hanga Te’e where you will be able to view a variety of toppled Moai of Ahu Vaihu. On the way to the next stop we pass several moais lying along the road indicating the “Camino de los Moais” (trail where Moais were moved). At Rano Raraku (the quarry where most of the moais were sculpted) have a picnic lunch, and start walking up to the Rano Raraku volcano. The next highlight is the restored giant Ahu Tongariki and its 15 moais. Continue to the beach of Anakena. The white sandy beach with coconut palm trees invites you to rest in the sand and swim in the warm Pacific water. After the tour, return to your hotel. Remainder of the day at leisure. We recommend to visit the church of the village. Among the diverse statues you will find traditional Roman Catholic symbols together with indigenous ones. Next to the church you will find the arts market and the local museum. In the museum you can admire reproductions of Rapa Nui artefacts; the originals were removed from the island. 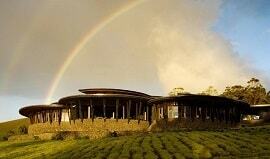 This morning you will visit the nearby volcano Rano Kau with its ceremonial village Orongo. It is a 30 minute drive up to the volcano. 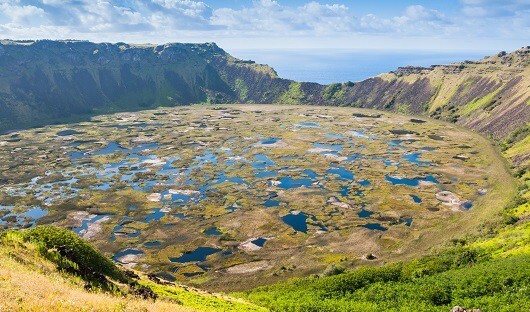 You will be surprised by the perfect round shape of the crater lake. Orongo is the ceremonial centre of the cult to the bird-man “Hombre Pajaro”, which started when the “Short Ears” stopped building moais. Your guide explains this “new” culture of the island and shows you the petroglyph images of Tanga Manu (bird man), Make Make (the god who created him) and Komari (a fertility symbol). This site commands a view of three small rockeries: Motu Nui, Moto Kau, Moto Iti. On the return to Hanga Roa stop at the cave of Ana Kai Tangata where you will find interesting wall paintings. After the tour, return to your hotel. This afternoon depart your hotel to visit Ahu Akivi with its famous 7 moais. 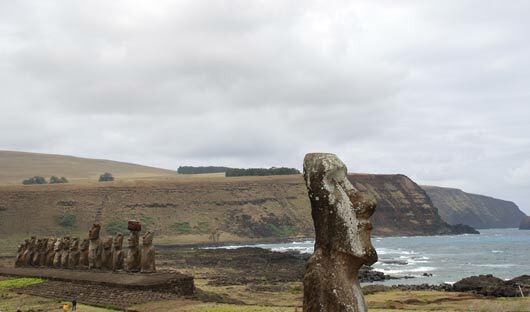 Continue on to Hanga Poukura, an extraordinary ahu site with a number of tumbled moai statues and scattered topknots. The next stop is to the important quarry of Puna Pau, a crater of red Scoria, of which the Pukaos where built. The final stop is the ceremonial place of Tahai. The site boasts 3 ahus, restored statues and remains of boathouses and a boat ramp. After the tour, return to your hotel. 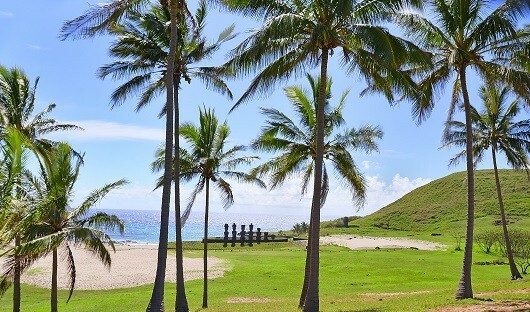 After breakfast check out of the hotel and transfer back to Easter Island Airport where your itinerary concludes. If continuing on a journey with us your guide will be waiting for you in Santiago.